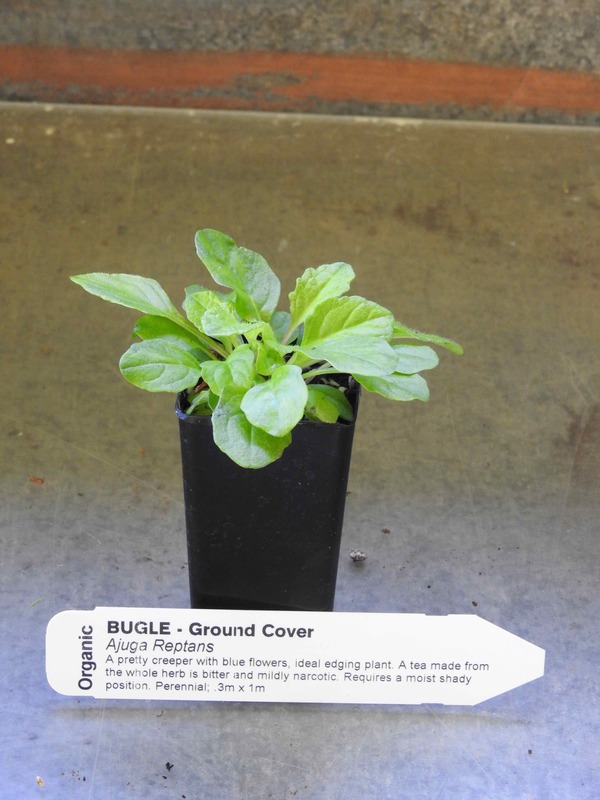 Bugle plant, Ajuga reptans, is also known as Wild Mint and Sicklewort. A pretty creeper with blue flowers, ideal for use as an edging plant. A tea made from the whole herb is bitter and mildly narcotic. Utilised as a calmative to arrest haemorrhages, ease coughs, reduce liver inflammation and reduce the stress of alcoholism. A salve of the leaves used in the treatment of bruises and rheumatic swelling. Leaves yield a black dye. Bugle plant is native of the UK and is adaptable to most soils but requires a moist, shady position. Drought and frost tender. A perennial ground cover, growing to 0.3m x 1m. Flowers from spring to summer. Be the first to review “Bugle, plant” Click here to cancel reply.